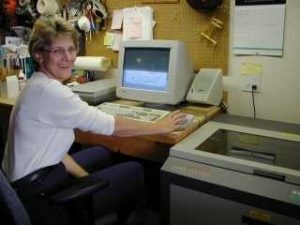 Classic Design Studio produces elegant and affordable personalized laser engraved custom designed gifts and corporate identity items with a personal touch in Grand Forks, BC, Canada. We do laser engraving on anything from personalized gifts, awards, recognition items as well as personal and corporate identity items. We can laser engrave on a vast array of materials such as metals, woods, leather, glass, ceramic, corian, slate, marble and plastics. Classic Design Studio is large enough to service your needs, small enough to give you personal service and experienced enough to care about your satisfaction. We are located in British Columbia’s beautiful Boundary Country right next to the United States border for easy shipping of your finished product anywhere in North America or even the world. There is no better way to reward an employee or thank a valued customer for their business. Call, or Contact Dana Novotny online for your laser design needs or ideas and she will happily show you what is available or work with you to design something truly unique.